Maybe you know of a friend or family member who complains of sore or stiff joints from osteoarthritis. After all, one in five adults in the United States reportedly is having doctor-diagnosed arthritis. Though osteoarthritis is usually seen in older people, 27 million people age 25 and older also have the condition. The good news is that there may be a way to lower the risk of developing knee osteoarthritis, and surprisingly it involves your fiber intake. Dietary fiber may reduce body weight and inflammation that are linked to knee osteoarthritis, according to a recent study published in the journal Annals of the Rheumatic Diseases. Soluble fiber has also been shown to possibly lower glucose levels and help lower blood cholesterol, as well as help soothe irritable bowel syndrome (IBS). Scientists analyzed data from more than 6,000 Americans. They found that those who ate more fiber had a 61% lower chance of developing the condition. 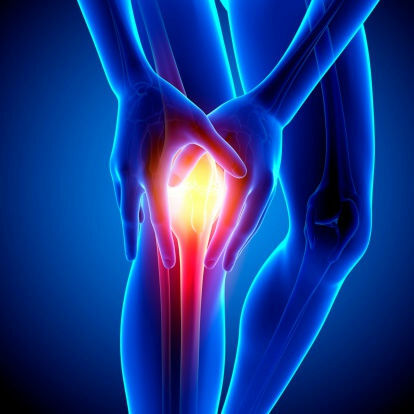 When you have knee osteoarthritis, the cartilage in the knee joint gradually wears away, and bones start rubbing closely together. As a result, you may experience swelling, stiffness, a decreased ability to move and possibly bone spurs. Though osteoarthritis becomes more common with age, it may also develop from a joint injury or a genetic defect in joint cartilage. Osteoarthritis in the knees may get worse with weight gain, according to the Arthritis Foundation. Just being 10 pounds overweight puts an extra 30 to 60 pounds of pressure on the knees. Excess fat can also speed the destruction of cartilage and joints from releasing inflammation-causing proteins and biochemicals, the Arthritis Foundation reports. So what are good sources of dietary fiber? For more fiber-rich foods and serving sizes, visit here. The recommended daily value for fiber is 25g based on a 2,000 calorie diet. Dietary fiber with a 5% DV or less per serving is low, while 20% DV or more per serving is high, according to the Food and Drug Administration. The study didn’t specify whether foods with insoluble or soluble fiber were used in the fiber diet, but eating a wide variety of high-fiber foods can give you the greatest health benefit. Fiber-rich foods also help you feel fuller. Be sure to increase fiber intake gradually to avoid gastrointestinal distress, the International Foundation for Functional Gastrointestinal Disorders suggests. In addition to nutrition and weight loss, there are other ways to be proactive about your joint health, like taking plant-based nutritional supplements and exercising. Read more about exercise programs that can help arthritis here.